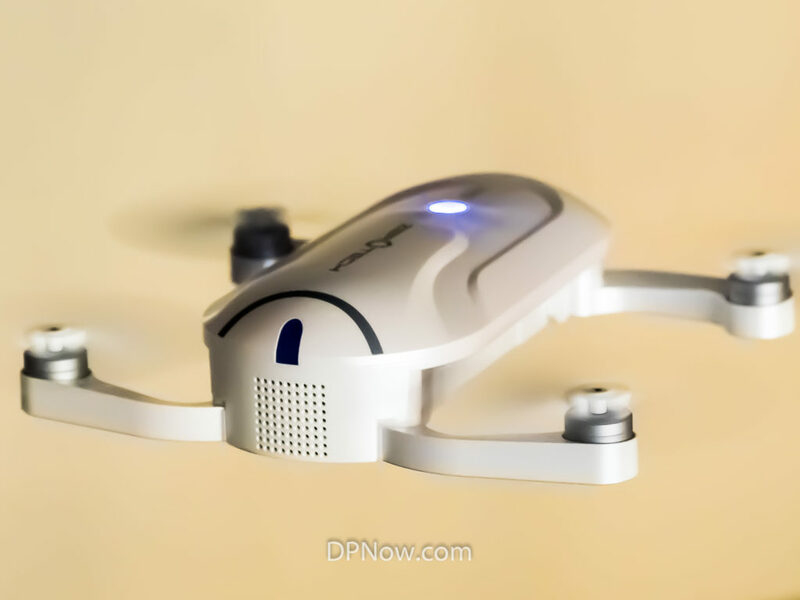 Parrot has launched a mid-priced consumer drone with a 21 megapixel/4K camera that can look up as well as down. 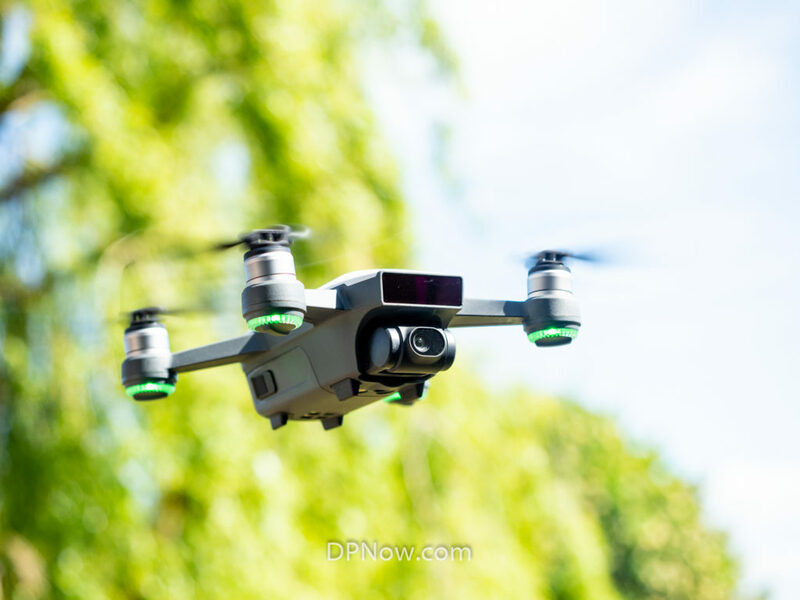 Remotely flying a camera around in the sky, thanks to the affordability and sophistication of drones, is one of the newest and most exciting avenues for photography. You can buy a camera-equipped drone for well-under £100 and ones with decent photo quality start at £100-150. 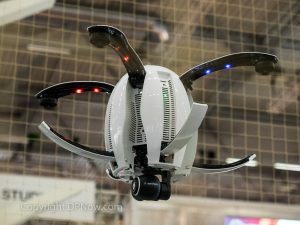 However, it’s not a free-for-all in the skies and concerns about safety are beginning to impact on even the hobbyist drone flyer. 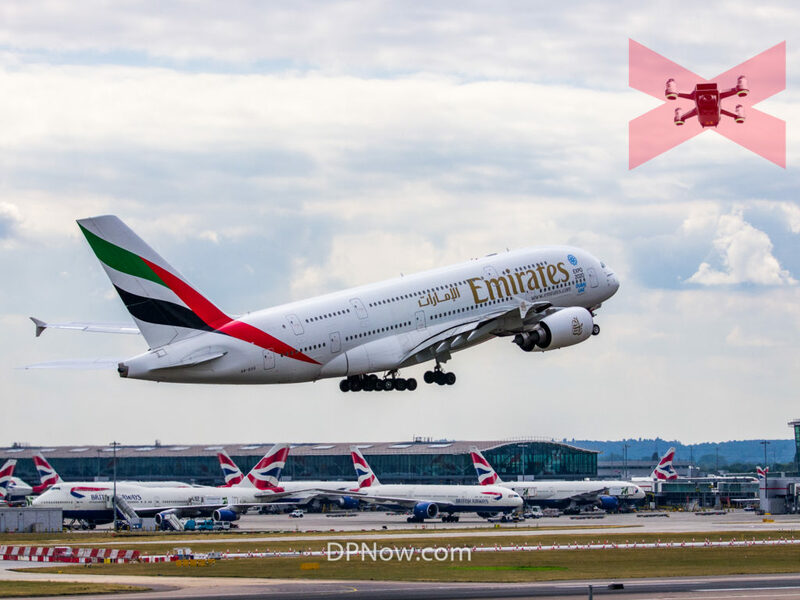 The UK government has announced new legal measures aimed at deterring drone operators from flying their aircraft irresponsibly. New laws will mean many hobbyist drone flyers will need to register their aircraft with the Civil Aviation Authority (CAA) and take an online safety test. The main aim is to protect passenger aircraft in airspace near to airports and aerodromes. Statistics suggest there have been nearly a 100 near-misses in the UK alone last year. The first of the new regulations to come into force will happen on 30th July. By default, it will be illegal to fly a drone above 400ft (120m) or closer than 1km (0.6 miles) to an airport or aerodrome. 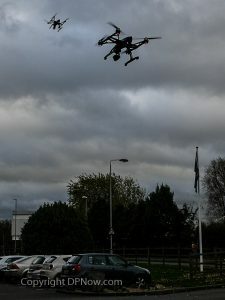 Prior to that date the 400ft altitude limit has only been a recommended best-practice limit, as stipulated by the CAA and NATS (UK air traffic control) backed Drone Code. Many low cost drones are capable of exceeding this limit easily. A DJI Spark like this can be bought for as little as £300 and will happily sail past 120m (400ft) above you or fly out of visible sight. Later, from 30th November, operators of any drone with a take-off weight of 250g or more will have to register their drone with the CAA and pass an online safety test. 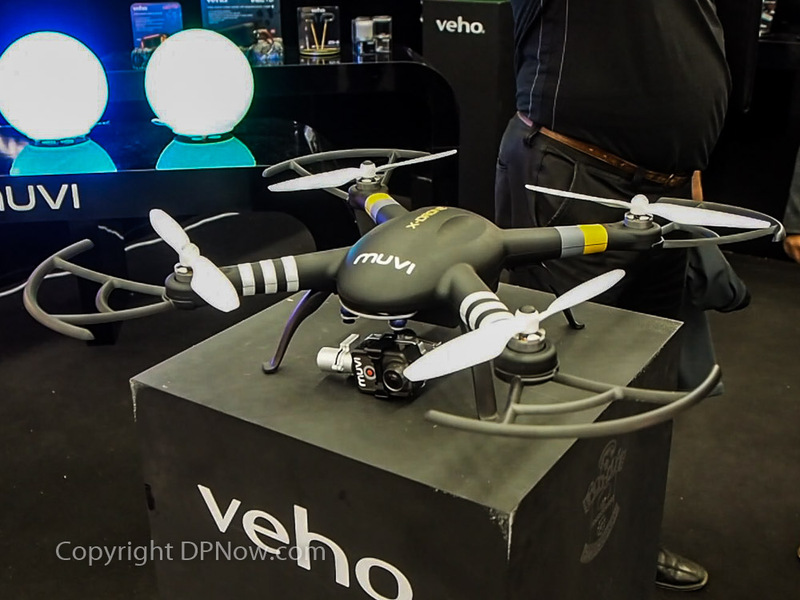 Most drones fitted with cameras capable of good quality stills and video photography exceed the 250g threshold. If you don’t comply with the registration and test requirement you risk a £1,000 fine. It’s not yet clear if the online test will carry a fee or not. Currently, drones exceeding 20kg require licensing and must only be flown by people licensed to be qualified operators. The new regulations are being brought into law through an amendment to the Air Navigation Order (2016). A quick perusal of social media sites specialising in drone discussion reveals a split in reaction to the news. Some drone flyers whose main interest is flying as high and as far as possible are, naturally, disgruntled. But other drone enthusiasts believe the regulations were inevitable and many already stick within the limits to be enforced anyway and hope that their hobby, or even profession as commercial drone operators, will be protected from bad publicity generated by irresponsible drone flying. However, whether the new regulations can be enforced effectively is greeted with widespread cynicism. While more sophisticated drones equipped with GPS positioning receivers usually record a log of their flightpath, containing valuable evidential information, other large and powerful drones don’t. While the changes are designed to protect passengers and pilots flying big planes, the pilots trades union, the British Airlines Pilots Association (BALPA), has been critical of the 1km airport boundary, saying it should be more like 5km. Apparently, an airliner could quite legitimately be well under 400ft 1km from the runway. Because the drone industry, both for recreational and commercial flying, is estimated to be worth over £40 billion by 2030, the government stresses that it does not intend to hinder the responsible operation of drones. Taking your drone abroad to fly is now increasingly common but there are no internationally agreed drone flying rules. Nevertheless, the same 250g weight threshold and 120m altitude limit do seem to be mentioned frequently in local regulations around the world. With one month to go to Christmas the Civil Aviation Authority (CAA) has today issued a revised Dronecode to help millions getting a drone this year to fly safely and responsibly. The Dronecode, a simple set of rules and guidelines established in legislation which outline how to fly drones safely and within the law in the UK, is hosted on a new dedicated Dronesafe.uk website. All backed by wide range of leading aviation players, drone retailers and manufacturers and the Department for Transport. To demonstrate the need for a unified approach, the research, which was carried out in collaboration with strategic insight agency Opinium, identified that 91% of the public agreed that adherence to the Dronecode is important. 39% of drone users had so far heard of it since its launch in 2015. Tim Johnson, Policy Director at the CAA said, “Consumer research on this scale into drone use has never been done before and there was a real need from the aviation and drone industries to find out more about this growing sector. The research shows that the public have understandable concerns about reported drone misuse to date, and demonstrate clearly why the current education programme is underway, backed by legal action when appropriate. The launch of the new Dronecode, report and Drone Safe website forms part of a wider initiative looking at establishing a safe and responsible attitude toward drone flight and usage to protect the safety of the wider aviation industry and the wider sector opportunities. This initiative saw the launch of 400ft Britain last month, a drone photography and videography competition that aims to creatively bring the Dronecode to life, held in partnership with VisitEngland and offering drone-flying holidays from Phantom Flight School to the winning entries. The new Dronecode is for consumer drone use and those using a drone commercially must be licensed and undergo an approved course. Drone users must also remember that if they don’t follow the simple rules they could be prosecuted and go to prison.